Just want to support the GFO? Please do! 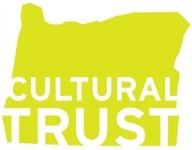 We're thrilled to receive General Fund donations. Your gift will go where it's most needed to directly support the GFO Library and our organization's mission. Once a year, GFO’s Annual Appeal to its membership raises funds to address current needs and on-going projects. Read on to learn about some of the things your General Fund donation provides. Online Database Subscriptions - Together with our library’s collection, our array of online genealogical research tools is central to in-person research at the GFO Library. We work to bring our members value through our online database subscriptions. Our evaluation of available database subscriptions is on-going. Currently, patrons have free access to Ancestry.com World Edition, Find My Past (primarily United Kingdom records), HistoryGeo (land records and historic U.S. maps), Fold3 (military and other historical records), Newspapers.com, American Ancestors (NEHGS), and JustaJoy (a new site for locating and rehoming family heirlooms. If you'd like to see what GFO pays to make these database subscriptions available to patrons and the costs for some other popular sites not currently in our budget, please click here. Annual Giving - Once a year, GFO’s Annual Appeal to its membership raises funds to address current needs and on-going projects. 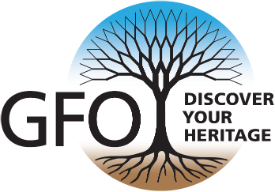 Education – Providing GenTalks, our annual open house, and supporting other educational offerings, purchase of webinars and other educational tools directly related to furthering the GFO’s mission to provide genealogical education to its members and the public. Acquisitions - Already the largest genealogical library between San Francisco and Seattle, GFO’s book collection is growing through carefully researched and targeted acquisitions--because it is not all online. With a worldwide scope, GFO’s acquisition team aims to make key purchases that enhance genealogical research in our locale and beyond. Check out our collection through our online OPALS catalog. To support this important book-buying program, follow this link. For more info or to suggest books you'd like us to consider, please send us an email. Library Maintenance - Supporting the heart of GFO: providing and building the Library’s research tools and equipment (like computers, scanners, printers, and audio-visual aids), and the infrastructure (such as book shelving, light bulbs, furnace and dehumidifier filters, and even cleaning supplies--not very glamorous--but necessary) to keep the Library fully functioning. Click here to donate to the General Fund now. Thank you! Following are some directed giving opportunities that may interest you. When you earmark your donation to a specific fund or cause, you can rest assured that it will be used for the purpose you intend. In 1989 the GFO initiated an endowment fund to help ensure its ability to serve future genealogists and family historians. The Endowment Fund Operating Plan may be viewed here. With generous donations and careful management, the fund has grown. Through on-going donations or bequests, you too can contribute to the GFO’s endowment, ensuring our existence and growth. To donate online, please indicate 'Endowment Fund' in the comments field. If sending your donation by mail, please write the amount of the gift in the space provided on the downloadable donation form. Have questions or need more information? Please send a message to our Endowment Committee. There are many options when donating to the Endowment Fund. You may be able to double your gift through a matching gift program available through your former or current employer. We recommend you contact your current or former employer’s HR department to find out if this is an option. Planned Giving is a phrase describing plans for assisting the GFO, especially through estate planning. Although the federal estate tax exemption has been increased, many states also have estate taxes at a much lower exemption rate. We always recommend that you discuss these types of donations with your tax and legal representatives. I hereby give __________ to the Genealogical Forum of Oregon, Inc., an Oregon non-profit corporation. The blank can be filled in with a certain amount, or percentage, or certain items. If you are interested in willing tangible assets to the GFO, please contact us first. If your retirement plans include the option to bequeath plan assets, you can reduce the value of your estate that is taxed, and your heirs will not have to pay income and estate tax on the assets that are gifted to the nonprofit GFO. Another opportunity to support GFO is to gift your fully paid life insurance policy or to make GFO the (sole or partial) beneficiary of an existing policy. You could also take out a new policy with the GFO as owner and beneficiary. Another giving option is to transfer appreciated securities to GFO. In most cases, donors can claim full present value as a tax deduction while avoiding capital gains taxes. Consult with your attorney to fully understand whether you will receive a tax advantage from donating in this way. There are additional ways in which to donate to the GFO in your planned giving, such as Charitable Remainder Trusts, Charitable Lead Trusts, Retained Life Estates, and Gift Annuities. If you are interested in any of these methods, please contact the GFO [link]. GFO representatives will be glad to work with you and your tax professional or attorney to explore these additional ways to support the GFO, our library, and the work we do. Any donation to the GFO may be made in memory of loved ones or ancestors, or in honor of an individual, couple, group, or organization of your choice. These can be living or deceased persons, your high school graduating class, your military unit, or any other entity you would like to remember or honor. These are published annually in The Bulletin or the GFO Annual Report. Please provide the specifics in the comments field online or in the space provided on the downloadable donation form. For more information about giving, please send us an email.